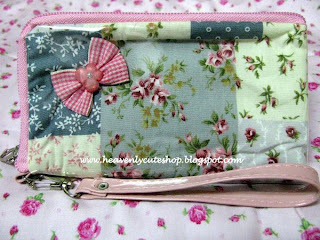 Ok..Another laptop bag 4 all..Have a look first, then tell me what do you think about them! 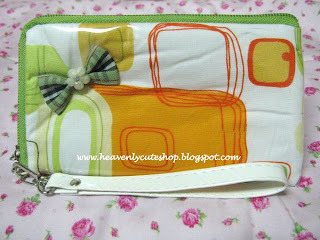 If you are a Kero Kero lover, you should have this one to add on your collection! 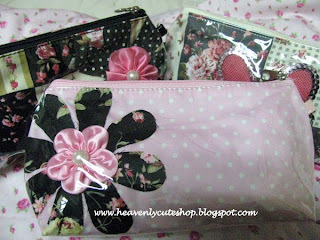 ...and you can get it at only RM 65 each! 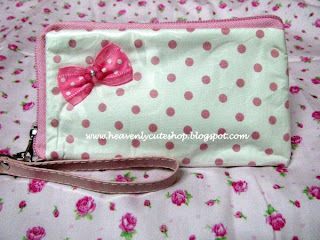 This is a two-compartment bag, where you can keep your laptop in one compartment, n its charger on the other. You can also keep files or document inside it. Okies. Other great & fun stuff will be uploaded soon. Just wait n see. Don't forget to email me if any of this items catch your eyes! You have seen ppl with laptop everywhere..But have you seen ppl with THIS laptop bag? 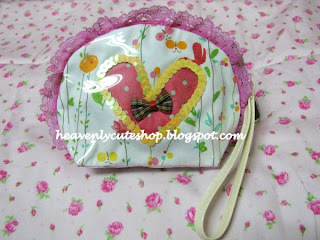 A colourful funky & stylish laptop bag is available for grab! This laptop bag consist of single compartment, where you can keep your laptop..It comes with faux leather n denim jeans with great colour n design! 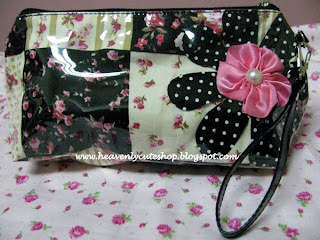 It is only RM 55! ....worth buying it! Not everyone have this bag. I bought all of them during my trip to oversea end of last year! One n only in Malaysia! Woow..Sounds interesting! Look..even my wide screen laptop can fit that bag! The handle makes me easier to carry the bag! So, what are you waiting guys? 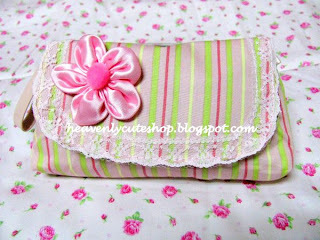 Stylish & trendy phone casing! 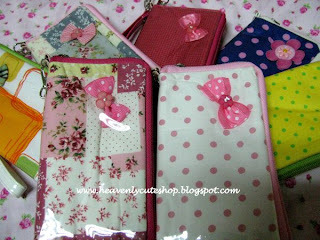 Introducing variety of phone casing with different design n pattern! Covered with clear vinyl and soft sponge inside it surely make it water-proof and robust! There are two component inside this casing - so you can keep your phone, and at the same time can be used to put your cards and money! Nice huh? So hurry up! 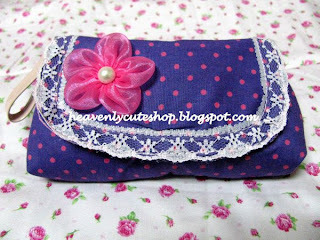 Grab this cool phone casing at only RM 10 each! Another adorable stuff from me! 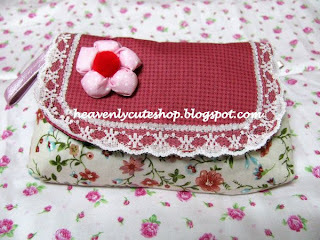 This 8.5"x5" pencil-case are just the right size for your stationaries, make-up stuff n even your electronic gadget! 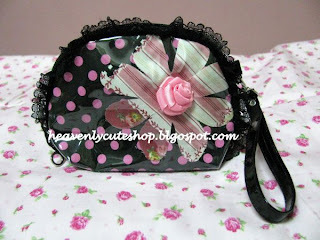 This multifunction bag is design to suit your needs! 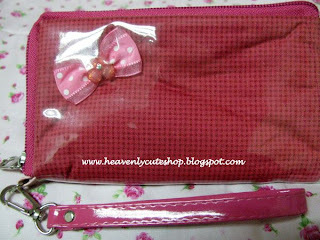 It is covered with clear vinyl and comes with a strap to be decorated with cute lucky charms or funky keychain to add your style! This patch-work style is the in thing now! 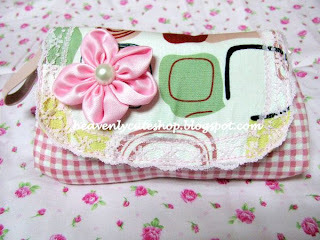 If you like shabby chic, you'll sure love this one! ..... and it is only RM 19 each! 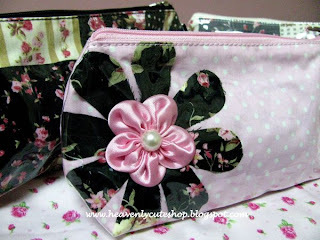 Colourful flowers & cute design! You all will love this! 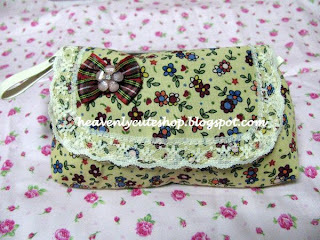 The combination of floral print fabric with variety of beautiful colour just the right stuff for you. 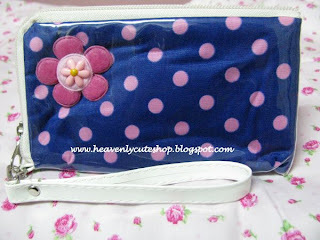 Lets check out my new items! 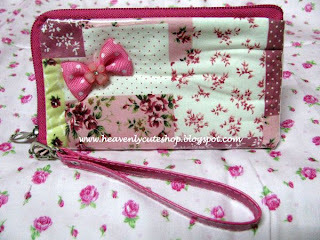 ....small flowers pattern with a cute ribbon on it just nice 4 young teens! Okies. I'm sure you love one of these! So grab one at only RM 13! 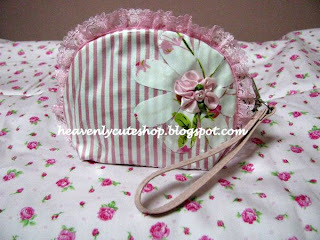 It also would be a perfect gift for your friend...and it is cheap too! Having problem with your mounting coins?? Not any more! 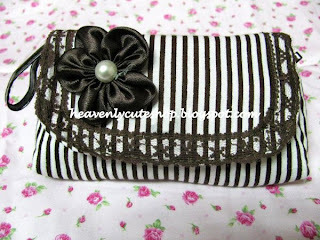 Introducing our new mini coins pocket bag! Adorable n cute, functional as well! 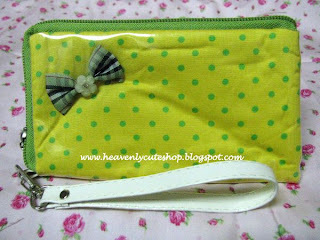 This mini pocket bag can be used to keep your coins, keys or even a basic-mini make-up! ....and it is only RM 15! It is covered with clear vinyl making it water-proof n easy to clean! You can keep your things dry. Yeah! Great stuff huh? So, hurry up! Contact me if you are interested! 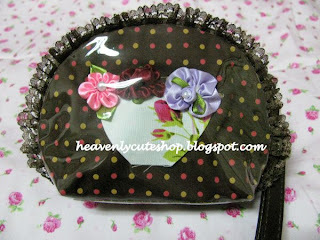 I'm sure you guys will be amaze with these colourful polka-dot purse. It brings out your teens spirit! 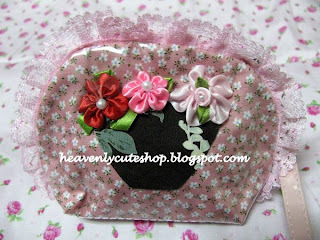 This 6"W x 4"H zippered mini bag can be used for coins, makeup and even a cell phone. Your life would be more organized with this bag! 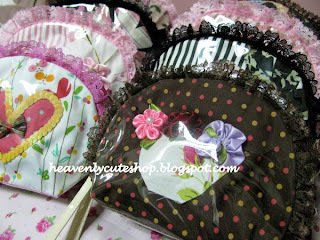 Come along to enjoy our new stuff at only rm 13 each! Worth buying it, trust me! Okies. That's all 4 polka-dot lover. 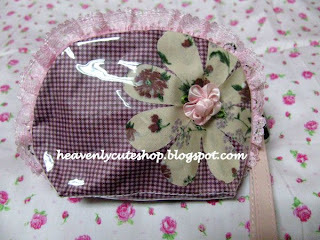 But, a lof of new interesting items are waiting! NEW! 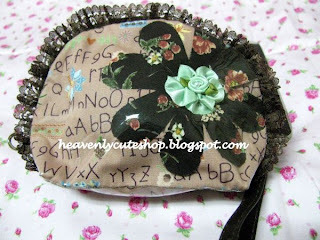 Cute & funky purse for all! If you like fun and cute and colourful, then one of these will really brighten up your day! Lets have a look at my new stuff. 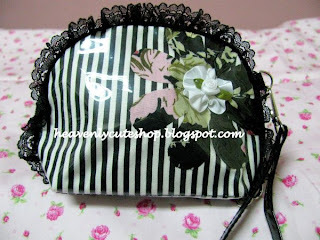 We bring to you the best of 60s retro..These two toned checkered and stripes design will make you look fabulous! .....and they are only RM 13 each! 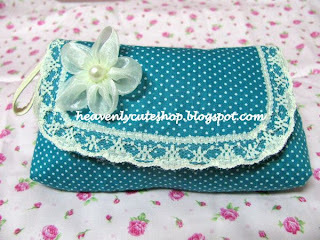 These soft n nice cotton fabric which is combine with beautiful lace will reflects your personality! How is it? Nice huh? So, keep checking back nx time 4 more awesome stuf! Thanks 4 now! Hi all! Hug n kisses! Thanks a million for spending your time to visit my blog. 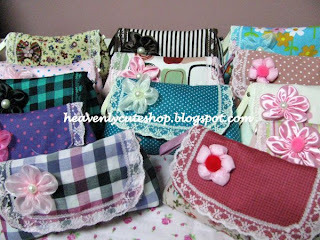 I love cute n nice things but affordable ( like colorful purse, funky bags, etc n cute teddies of course). 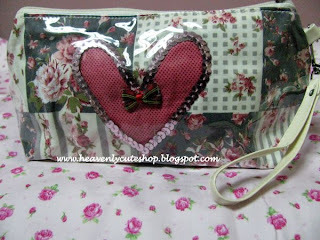 So, this shop-blog is inspired by my passion towards those things. It is a great pleasure to share with you guys!